—Img 1 Airbus’s test A320 taking to the skies with its new “Sharklets”. On November 30, 2011, Airbus’s test A320 (MSN0001), which is also the world’s oldest, and first ever A320, fitted with “Sharklets” took to the skies on a five-hour flight from Toulouse initiating an elaborate test schedule to validate the performance of the new pair of winglets, study their aerodynamic behaviour and gather data for certification. Sharklets, the Airbus lingo for its new wingtip design for the Airbus A320 family, was launched in the November of 2009 and the first aircraft fitted with these were slated for delivery to the launch customer Air New Zealand end 2012. However, Air Asia became the first operator of the sharklet equipped A320 in the January of 2013, with MSN 5428 registered as 9M-AQQ. The 2.5-metre tall winglets will replace the aircraft’s current wingtip fence. Offered as an option on newly built aircraft, Sharklets have been specially designed for the Airbus A320 family to reduce fuel burn by up to an additional 3.5 percent on long routes of around 3000NM. Winglets: An inspiration from nature. The high pressure on the lower surface of the wing creates lateral airflow outwards or away from the fuselage towards the wingtip where, on account of relatively lower air pressure above the wing, tends to spill over and swirl around the wingtip to form a vortex creating additional drag described as “induced drag" thereby reducing aerodynamic efficiency of the wing. economics of airliners. In response to the 1973 oil crisis, NASA’s Aircraft Energy Efficiency (ACEE) program sought ways to conserve energy in aviation. Whitcomb’s winglet design was predicted to reduce induced drag by approximately 20 percent and improve the overall aircraft lift-drag ratio by six to nine percent. Winglets are small aerodynamic surfaces mounted almost vertically at the wingtips. Inspiration for the design came from birds observed to curl their wingtip feathers upward when in need of high lift. A well designed winglet rises vertically and is swept back such that it significantly reduces the size of the wingtip vortex thus reducing induced drag. —Fig 1:The different popular winglets: A, the conventional winglet sporting an angular transition between the wing and the winglet. 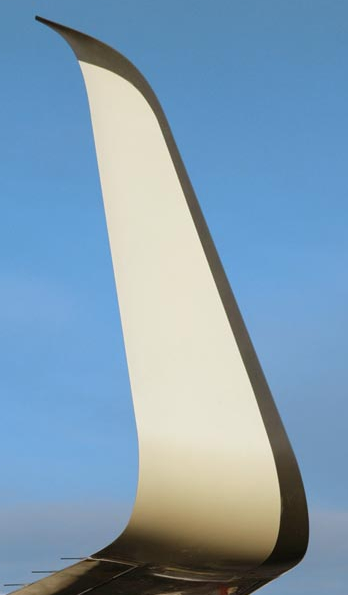 B, A Blended winglet with the transition being the arc of a circle whose centre is at “C1”. C, an Elliptical Winglet, which transition and winglet forms part of an ellipse centred at “C2”. In 1988, the Boeing 747-400 became the first airliner to fly with winglets, the design of which is similar to that in Fig 1A. In 1993, Dr Louis Gratzer, Professor of Aeronautics in the University of Washington, erstwhile Chief of Aerodynamics for Boeing, filed a patent application for an aerodynamically effective winglet termed “blended winglet” which provides a smooth transition between the wing, and the winglet, as depicted in Fig 1B. 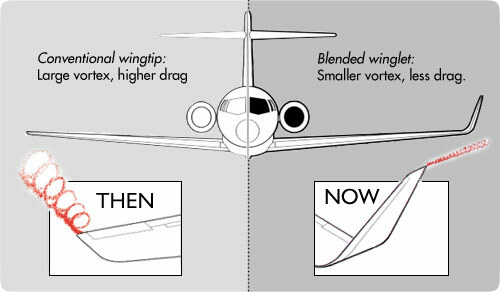 Highly blended winglets have demonstrated more than 60 per cent greater effectiveness over conventional winglets with an angular transition. Blended winglet technology made its debut in 1993 as a Performance Enhancement Program for the Gulfstream II by Aviation Partners Inc, a company established in 1991 at Seattle by Joe Clark and Montana businessman Dennis Washington. Boeing’s attention was drawn to the fuel efficiency and range enhancement on the Gulfstream II leading to a joint venture with Aviation Partners Inc to develop blended winglets for Boeing airplanes. Boeing helped Aviation Partners pioneer the technology that is available as options on 737NG airplanes and as retrofit options on the older 737, 757 and 767 models. In 2000, Dr Fort. F Felker, a former NASA wind-tunnel researcher and expert in computational fluid dynamics, filed a patent for “elliptical winglets”, wherein the curvature of the winglets as they extend outward from the intersection with the wings approximates part of an ellipse, as shown in Fig 1C. This apparently ensures an elliptical distribution of lift both horizontally and vertically, resulting in lower induced drag. The very next year, Winglet Technology LLC was founded by Robert Kiser and Dr Fort Felker at Wichita, Kansas. In 2002, a European Union (EU) funded, four-year technology programme entitled Aircraft Wing with Advanced Technology Operation (AWIATOR) was launched, with focus on reduction in drag, noise, aircraft wake and improved fuel consumption. It brought together 23 European manufacturers, universities and research institutes with Airbus contributing 60 percent of the Euro 80 million budget. 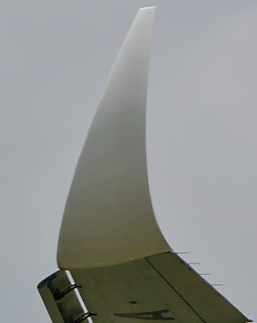 Very large wingtip devices which include winglets, were also looked into by the program and a resin film-infused composite winglet was test flown on board an Airbus A340 in 2003. The host of tests were completed in early 2006. Airbus A320: A drive for improvement. 737-800, test flew with winglets in 2000. For a flight of 1000NM, a landing weight of 65,000kgs, cruise at Mach 0.78 at FL370, the A320 and the Boeing 737-800 winglets consume almost the same trip fuel of 6,000kgs. This is 300kgs lesser than a Boeing 737-800 without winglets. The winglets contribute to a 4.7% fuel saving on the 738 in this particular case. With this, it was seen as obvious that an A320 with winglets replacing its present wingtip fences, can save fuel as well. Boeing deployed the winglets at the right time: when crude oil prices were on the rise. With spiralling fuel prices, the need for a more efficient A320 became apparent. In the April of 2006, after the results of the AWIATOR winglet that flew on the A340-300, Airbus tested similar winglets on its prototype A320, MSN0001, and another newly produced A320 that was meant for JetBlue, MSN2755 (Img 2). Closely following these tests, in the July of 2006, Airbus began flight testing with “Elliptical Winglets” from Winglet Technology LLC (Img 3). Airbus was working towards an “A320 Enhanced”, which was to include winglets, an aerodynamic tidy-up (to the engine pylons, surge tank ducts and upper belly fairing), engine improvements, weight savings and a new cabin, all aimed at reducing fuel burn by 4-5%, of which the winglets alone, as Airbus chief operating officer John Leahy had said, were expected to “get a couple of per cent”. But in the October of 2006, Airbus wasn’t too sure about the winglets, stating, “latest information on the A320 winglet testing is that the results indicate that although improvements were found in terms of cruise drag, the increase in structural weight that would be necessary to support the winglets largely offsets the gain". In late 2008, Aviation Partners Inc and Airbus announced that blended winglets are being tested on an A320 (Img 4). The winglets were specially made for the A320, with the upper tip of the winglet sweeping further back to prominent pointed end. No further news was heard about the results of the test, until in January 2010, when JetBlue provided an A320 for testing with the same Aviation Partners Inc winglets. This time however, the test was between the airline and the winglet manufacturer, with co-operation from Airbus, with tests taking place in the United States. API claimed to have achieved a 5 percent fuel savings. Airbus went ahead with its own design of a winglet with the sole supplier being Korean Air Aerospace Division, the aerospace manufacturing division of the Korean Air Group. Technically, the challenges with installing a winglet are the higher bending and torque loads that the structure is subjected to. This requires structural strengthening. 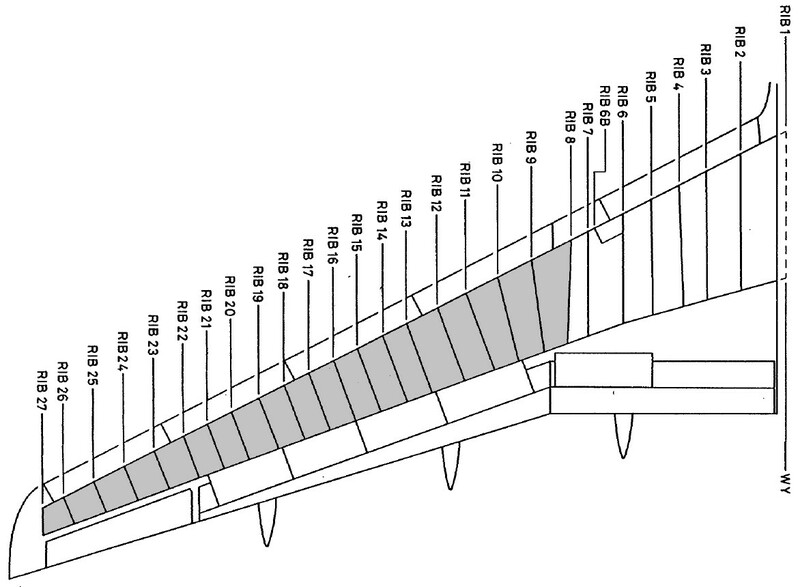 Of the 27 ribs that make up either wing of an A320, the 19 outboard ribs need strengthening. The centre wing box will also be strengthened with necessary changes to take care of both A320 equipped with Sharklets and the A320 NEO alike. Since the structure must be provisioned to fit either the Sharklet or the conventional wingtip fence, Rib 27, the outer-most, has been fully redesigned to offer this dual wingtip-device compatibility. These reinforcements increase aircraft structural weight, compensated by an airframe-wide weight-reduction plan of around 200 kgs. As a result of this weight neutralisation, an aircraft which is Sharklet ready end 2012 onward, but fitted with the conventional wingtip fences will not differ in fuel burn and performance from an A320 delivered in 2010. Sharklets are standard on all A320 NEOs that will be produced 2015 onward. To handle the new engines and the added maximum takeoff weight, additional inboard rib and spar reinforcements will be incorporated when the A320neo goes into production. Airbus launched a legal battle on 2 December 2011. 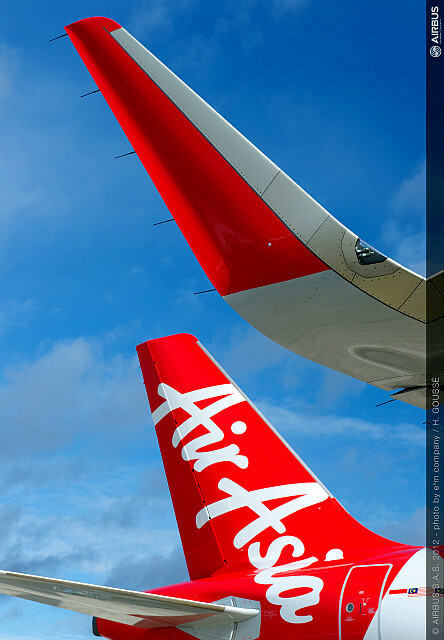 Anticipating a patent infringement lawsuit by Aviation Partners, Airbus filed a lawsuit to have the court declare the sharklet design was not copied from the Aviation Partners blended winglet. Aviation Partners has escalated the patent dispute with Airbus by asking a US court in Seattle to slap an injunction on all new sales of sharklet-equipped Airbus A320s. The injunction request by Aviation Partners on 31 July 2012 is the latest and potentially most damaging move in an eight-month dispute between Airbus and Aviation Partners over the intellectual origins of the A320 sharklet. Aviation Partners accuses Airbus of “copying” the sharklet design using Aviation Partners’ proprietary information and data supplied to the airframer under a non-disclosure agreement, the Seattle-based supplier says in court documents. Source of information for this section “Legal” is Flightglobal. Making Operational and Economical Sense. As per Airbus, over existing A320, Sharklets deliver an additional fuel saving of 3.5 per cent over sectors greater than 3000NM and one per cent for sectors of around 500NM. The greatest savings will be on long routes. Indigo’s Mumbai-Singapore is 2180NM, with an average trip fuel of around 13100 kgs. This will translate to a conservative estimated saving of around 400 kgs per flight and 292,000 kgs per aircraft per year. Considering the cost of fuel at Mumbai (S$1520.5/T) and Singapore (S$993.36/T) as of end December 2011, this translates to a saving of around S$367,000 per aircraft per year, on just one sector. But if we consider a somewhat realistic aircraft utilisation, the savings can touch US$400,000 per year, per aircraft. With such savings, in the Indian scenario, the winglets pay back for themselves in around two and a half years or sooner in the event fuel prices rise further. —Projected savings on a single A320. Fuel Prices as of Dec 25th, 2011. Assumption: 1% on short sectors and 3% on the longer sectors (conservative). Sharklets bring advantages more than one. Payload-range benefits include either a revenue payload increase of around 500 kg or an additional 100nm range at the original payload. The increased lift- to-drag ratio of the wing will result in higher available takeoff weights, notably from obstacle-limited runways. Where runway performance is not limiting, operators could profit from a reduction in average takeoff thrust with consequent savings in engine maintenance costs by around two per cent. Sharklets provide better takeoff performance and rate-of-climb, higher optimum altitude, higher residual aircraft value and greater safety margins in the event of an engine failure This innovation ensures that airlines can afford to compete with the lowest airfares in an increasingly competitive market. Watch this wonderful, inspirational video on the first flight of the sharklet equipped A320! A320 Indigo and Go air photos are the copyright of their owners. Original, full size images on the original posting site may be viewed by clicking on the two photos. Thanks for that excellent article! The advantage that winglets do offer over extensions is that they do not increase the “box” size of the aircraft, which is important for airport operations (particularly if the aircraft is span-constrained already.) That, and they’re fashionable, of course! Better still, some wings simply don’t need a clean-up. A 2007 study by the National Research Council in the USA concluded that, for the C-130, the outer wing already operated at a relatively low pressure differential: nothing that a new wing tip could improve. Finally, a winglet that offers benefits in certain areas of the flight regime can be actively damaging to others. What’s good for cruise isn’t always good for a dash, and so on. In short, a new winglet doesn’t always help, and winglets don’t do anything a well-designed wing would not do. However, they’re a convenient and effective way of improving aerodynamics as CFD/wind tunnel techniques improve. Certainly, it’s better than designing a whole new wing to keep up with the more refined calculations we have now! As ever, it’s a pleasure reading your blog. Looking forward to many more posts. Supermoop, I must say you have very valid and thought provoking points. Bravo on the counter research- you’ve added a new angle to it, while I focused primarily on the Airbus “Sharklet”. Thanks! Wow…..! What a article.A treasure of knowledge.Good job. Great Work! Could you tell me where did you find the image of the difference in vortices with and without winglets? Very interesting article, especially re the offsetting wing structure required with the addition of the winglets. Bombardier appears to be using some composite materials in their winglets for the Global XRS; does Airbus also use composite materials in their winglet design? I remember thinking of economic viability and you have answered it here. You mention the pay-back to be 2.5 years. What is the capital cost of these shark-tips? I might have missed this, but is it retro-fitted – or does it mandate a complete replacement of the entire wind assembly? Those tips save airlines millions of dollars in fuel. they have installed them on some older planes to help them in fuel savings as well…. sharklets/winglets are old story…’Split Scimitar’ Winglets are in. Interested in knowing how copy rite infringement case is going? The “winglet” in img 4 actually looks like a true sharklet(the top curving backwards like a fin), still don’t get why Airbus called the A320 winglets “sharklets”, even the A350 winglets are more deserving of that moniker. Superb article. Thank you. Sat at airport now watching a variety of winglets and sharklets pass me by. Visually not a lot to separate a B blended winglet from an A blended sharklets. But if it works and helps costs and environment alike, fantastic!